The music is some of Liszt's finest orchestral writing, featuring colorful and exciting passages and a powerful sense of drama and poetry. 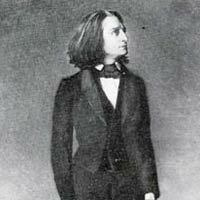 Liszt started working properly on the Dante Symphony in about 1855, when he was settled comfortably in Weimar. He had given up the concert stage to focus his life on composing and innovating. 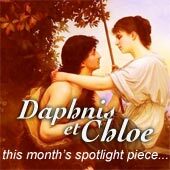 Like Liszt's other famous tone poem, the Faust Symphony, the Dante Symphony was inspired by a literary source. 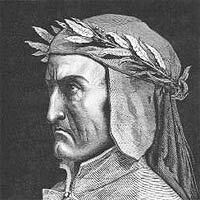 This time it was Dante Alighieri's The Divine Comedy, which Liszt's mistress Marie D'Agoult introduced him to decades earlier. Liszt was fascinated by the work and held regarded it very highly. Liszt wanted to have the symphony in three movements, each depicting a different sphere of Dante's hell (Inferno, Purgatorio, and Paradiso). But his friend Wagner convinced him that no mere composer could express the infinite bliss of heaven. Liszt eventually agreed, saying "art cannot portray heaven itself", and cut plans for a third movement. He stuck a "chorus of angels" onto the end instead, giving us a glimpse of heaven from a distance. 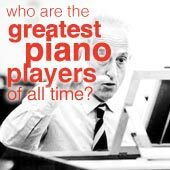 It was a tough piece to compose, and it took Liszt two years to get around to finally finishing it. He wanted to get it premiered quickly since he thought (rightly in my opinion) that it was a musical triumph. He had had success with premieres in Dresden before so he chose that city for the unveiling of the Dante Symphony. The premiere was in October 1857, but unfortunately Liszt's haste ruined it. The piece was extraordinarily new and difficult for orchestras at the time, and the Dresden musicians only had a few days to rehearse. So the premiere was a disaster! The orchestra played sloppily, losing the tightly-wound tension and drama of the piece. The female chorus at the very back of the stage also lost the rhythm of the music and ended up straggling. But the tone poem recovered quickly from the pitiful premiere, and nowadays it's one of Liszt's most highly-regarded pieces. Since the music describes Dante's descent through Hell, which is the story in the literary work, Liszt puts on his devil hat and does what he does best: make dark, seething, unearthly music which frightens the mind. The orchestral music is typically Liszt. A strong sense of melody and evolving themes, evocative use of various instruments, sometimes frantic and dark, other times calm and sublime. From then on the music is all fire and fury, an inspired musical rendering of the horrific torments Dante experiences. It rages on until we come to the middle section, which depicts the story of lovers Francesca and Paolo. In Dante's work, the two are bound together in Hell forever. Liszt paints their hopeless love with sweetness, using flutes and strings. But the scene doesn't last long - the deathly eternal hellfire of the start returns to round off the movement. 2. Purgatorio is much more quiet and serene. 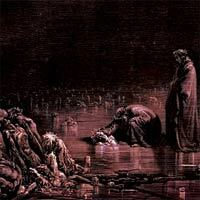 Purgatory is where Dante went after the Inferno, to atone for his sins. Liszt uses a fugue and a medium tempo to differentiate this movement from the violence and speed of the first. The movement ends with a female chorus of angels. We get the feeling that Dante is looking up at them from Purgatory. Some critics don't like this ending, thinking it a bit of a cheap way of getting out of writing a Paradiso. But in my opinion it's the perfect way to finish. You wouldn't want to ruin the symphony by hearing it with a poor audio setup. See the home audio system section for a guide to getting great sound. Two recordings stand out for me, but I can only recommend one. 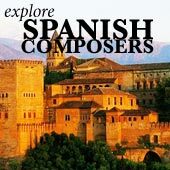 The first is Jesus Lopez-Cobos conducting the Orchestra de la Suisse Romande. The playing is fiery and full of fear, but falls flat in a few places. I have to highlight the wonderful second movement, which captures the peace and beauty of the music wonderfully. Also great is the bonus track: a 1-minute alternative conclusion to the Dante Symphony, which I didn't even know existed! But the recommendation goes to the recording by Kurt Masur conducting the Gewandhaus-Orchester Leipzig. 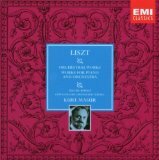 It's available on the EMI box set of all Liszt's orchestral works. The interpretation is chaotic, bloody, and full of color. I love it!